When a corpse found in the Thames is identified as the heir to a fortune, his death affects everyone. 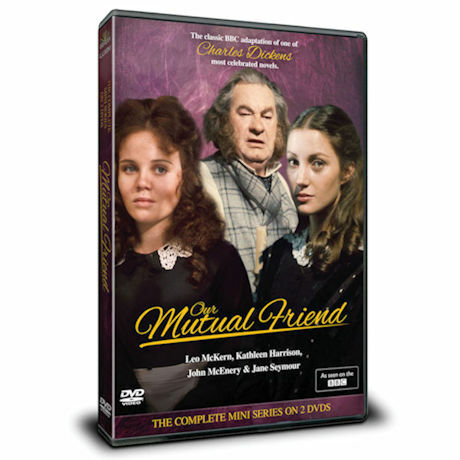 Based on the darkly romantic novel by Charles Dickens, seen on Masterpiece Theatre, this 1979 BBC miniseries features a distinguished cast including Leo McKern (Rumpole of the Bailey) as Mr. Boffin. Jane Seymour and Lesley Dunlop star as Bella Wilfer and Lizzie Hexam, both vainly seeking happiness and fulfillment. 7 episodes, about 6 hrs, 2 DVDs, SDH.